#Ukraine and #Malaysia signed an #intergovernmental #agreement aimed at #avoiding #double #taxation and #preventing #fiscal #evasion, which assures #equal #conditions of taxation in the other country. 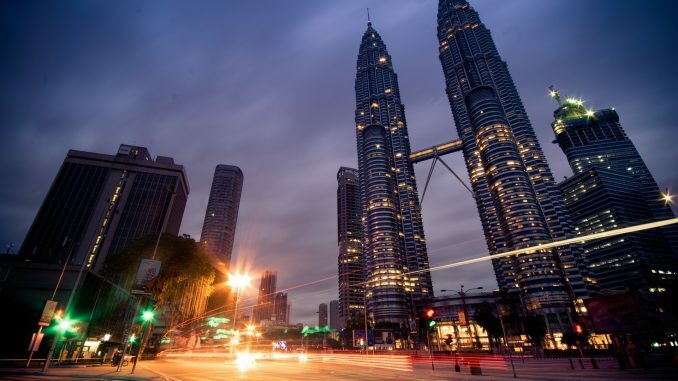 In addition, Malaysia intends to #liberalize the #visa #regime for #Ukrainian #nationals to allow them to obtain a visa upon arrival in the country. On 4 August 2017, Ukraine and Malaysia signed an intergovernmental agreement on the prevention of fiscal evasion with respect to income taxes. The agreement was signed by the Minister of Foreign Affairs of Ukraine Pavlo Klimkin and the Minister of Finance of Malaysia Johari Abdul Ghani in Kuala Lumpur during the official visit of the Ukrainian delegation to Malaysia led the President of Ukraine Petro Poroshenko (3-5 August 2017). By signing the intergovernmental agreement, businesses of both countries receive assurances that the income derived from sources in the other country is not subject to double taxation. In particular, the agreement covers income taxes charged by the state, its authorities and local government bodies irrespective of the method of collection thereof. Furthermore, the intergovernmental agreement between Ukraine and Malaysia lays down the conditions for avoidance of double taxation, the procedure for taxing dividends, interest, royalties, income derived from the alienation of the property etc. In particular, the agreement contains special conditions for taxation of pensions, income of public servants, artists, athletes and students. Moreover, the intergovernmental agreement aims to prevent possible tax evasion and to assure equal conditions of taxation in the other country. In addition, Ukraine and Malaysia intend to liberalize the visa regime. At the moment, citizens of Ukraine can stay in Malaysia without a visa for up to 30 days. The Malaysian Prime Minister Najib Tun Razak, after talks with the President of Ukraine Petro Poroshenko, declared plans to simplify the visa regime between the two countries. According to the Malaysian Prime Minister, Ukrainian nationals will be allowed to obtain a visa upon arrival in the country.